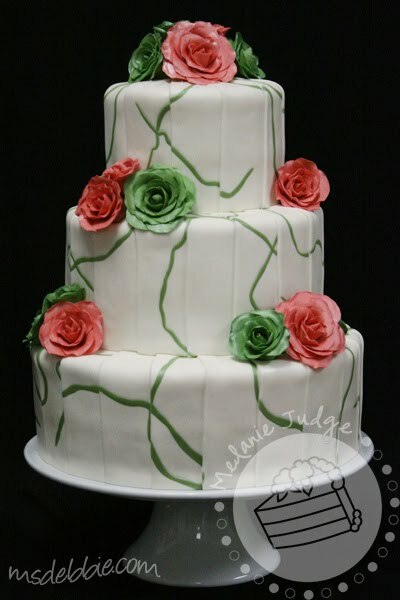 A few weeks ago, a bride brought us a picture of a gorgeous wedding cake that she wanted replicated. No problem! ...except that we'd never done a cake like the one pictured. So we experimented with different techniques and were able to replicate it! Yay! 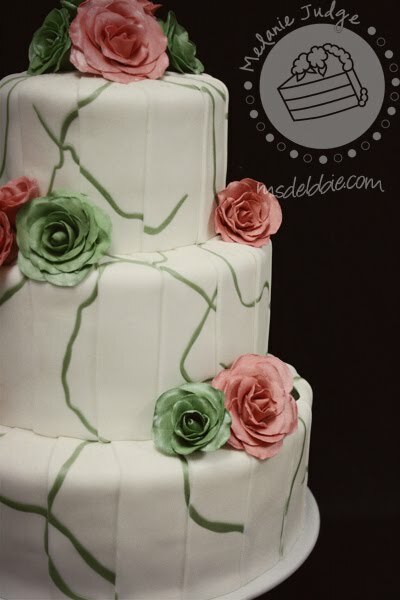 The technique was created by slightly marbelizing the green and white fondant, cutting it into strips, and applying it in an overlapping pattern to the cake. It was time consuming, but I love how it turned out. 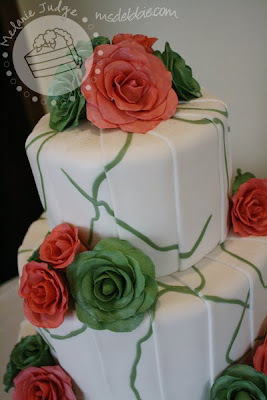 And all the roses were hand-made to match the color swatches the bride provided. Loving the subtle tones of that shot! Very Nice... I may have to try that effect on a display cake. WOW! that's an amazing cake! great job! Love it, as always. You guys did a great job on it! 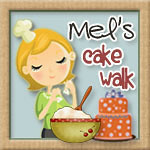 New Year's Eve Cake Party! Seven-Tier Wedding Cake in St. Augustine, FL!